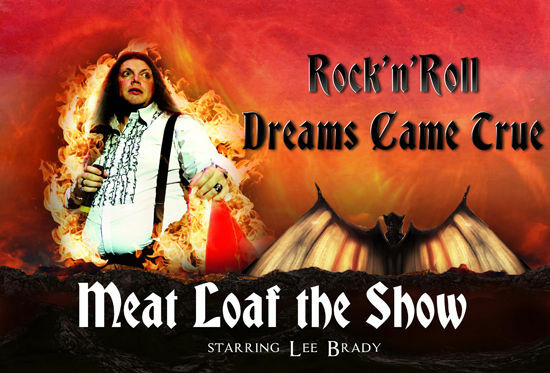 Starring the spectacular Lee Brady as a "dead ringer" for Meat Loaf! 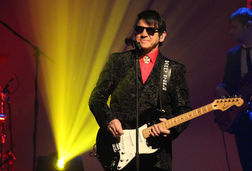 Rock 'n' Roll Dreams Came True is a powerful showcase of Meat Loafs greatest hits, including Paradise By the Dashboard Light, 2 Out of 3 Ain't Bad and the breathtaking Bat Out of Hell, to name just a few. In this 2 hour extravaganza, you'll experience an evening as close to seeing Meat Loaf himself. With the unique musicianship of this 8 piece live band, complete with Mike Corfield as Jim Steinman on piano, video projections and stunning choreography, this show promises to have you rocking out to all of Meat Loafs greatest hits. Are you a fan of Meat Loaf? Then this show is not to be missed! The Beat Is Ours Forever!